Liverpool beat Chelsea at Anfield Road Stadium with 2 goals. Although the first half is ended with a goalless draw. 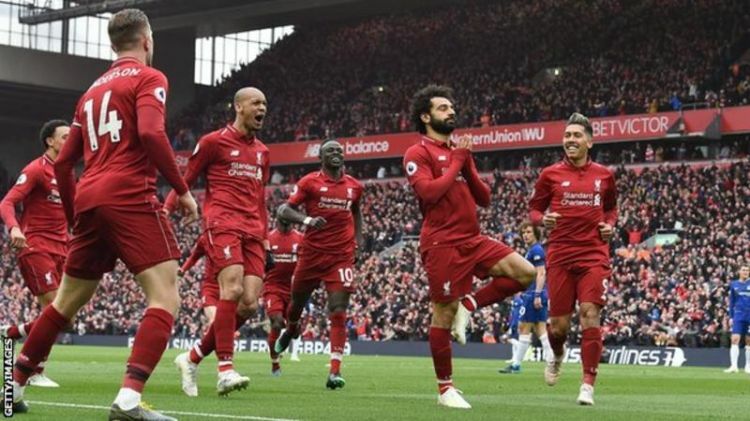 In the second half, 2 Liverpool strikers Sadio Mane and Mohammad Salah goals brought the victory over Chelsea. "I am happy with the performance because, in my opinion, we played a good match against a very good, strong opponent. "And then we were unlucky after the second goal because we reacted very well and had three-goal opportunities in three minutes." "We just need to focus on our game and hope Manchester City will lose points. "-Salah said Sky Sports.